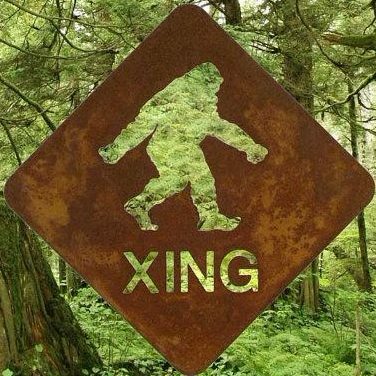 Last week the Sasquatch gave me an interesting piece of information. It is what they call DEMing. DEM was given to me by them. It stands for Dna Energetic Modification. I was then told how it works. It is performed by a certain Sasquatch that has the ability to energetically take specific codes and elements of a voluntary Sasquatch host and transfer them to a human. They showed me how it was done. Most of the time it is done when the intended human is sleeping and lying down. Then the host Sasquatch which has to be the same gender lays within human body. Mind you this host Sasquatch is in energy form and not physical. The Sasquatch that is the manipulator then begins to switch small parts of DNA between the two of them modifying both the Sasquatch and human’s DNA structure. Why would they do this I asked? It is a way for them to begin to change your code structure to allow you certain consciousness changes and activations. Don’t worry. You won’t wake up the next morning a hairy Sasquatch but you may start to develop certain awarenesses and abilities that benefit them and you. This is what was given to me last week by them and it is now being done to me and others. When I go to bed some nights I feel energy in my legs and feet pulsating. I was told this is them and the process happening.